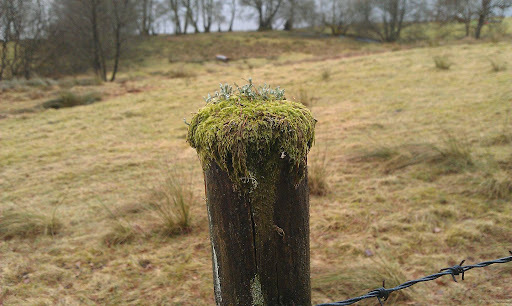 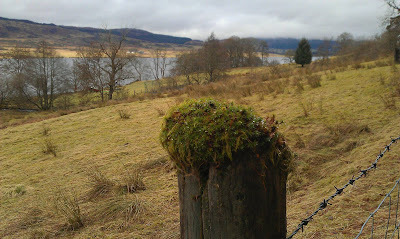 We found these delightfully "colonised" fence post tops today along the shore of Loch Venachar in The Trossachs. 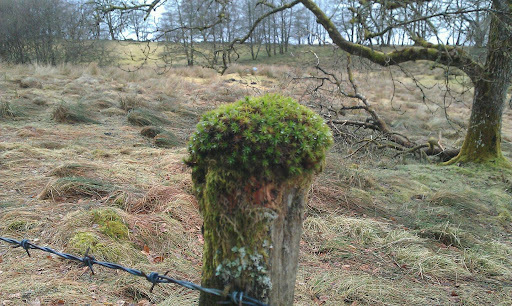 Given the absence of a water supply other than rainfall, these little clumps are surely testament to the high rainfall of the area, and the richness of mosses and lichen is indicative of the high air quality of Scotland's first National Park. Thank you dear boy. 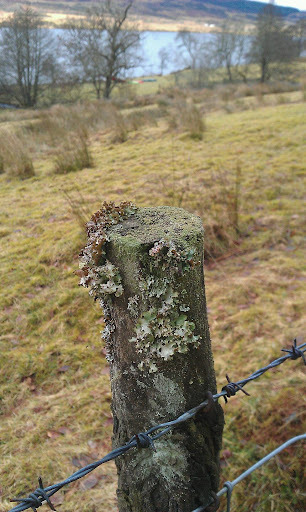 They were charming tiny plots.